I attended BY High in the 1950's and I absolutely loved it! Our teachers like Anna B. Hart, Richard Gunn, George Lewis, Farrell Madsen, Winston Mercer, and Wayne Sorenson were outstanding. But so were the pranks pulled by the kids themselves. Someone else has already recalled the Great Fake Bank Robbery, but no one has yet mentioned the Great Auto Theft of the 1950s. I was really in my comfort zone at BYH, even though I started every morning down in the basement of the old Academy Building at 8 am band practice. Each year Mr. Madsen developed a great Concert Band, and we were good enough to perform Edvard Grieg's piano concerto with our own Robert B. Smith at the piano. I thought we sounded amazing, but then what does a percussionist know? Our Marching Band skills weren't bad either. To avoid having to carry the bells in parades, I became the drum major, and at 5' 0” I was the shortest in the state! But thanks to Mr. Madsen, I really learned to blow that whistle so everyone in the band knew exactly which way to go. Each day I marched out of the band room in the basement at 9 as usual, and ran upstairs to meet my friends, Joan Bullock, and her brother Gordon, who were waiting at the lockers over in the main hall of the Arts Building. The Bullocks had moved to Provo from Canada, and with them they brought a cute little light-blue Austin car that they drove into school from Orem every day. 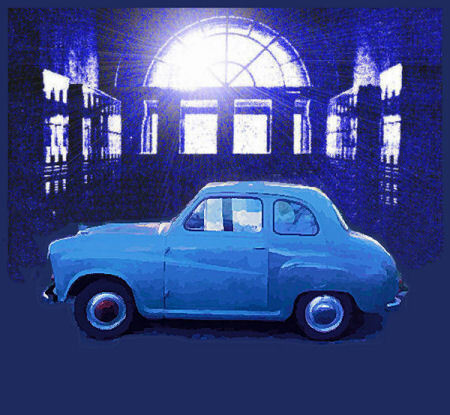 The Austin was a dependable car and although it was small, we could pile seven or eight very friendly kids in it to go to the games and other activities. Very few students drove cars to school in the 50's, but then, there were only a few parking places outside the building anyway. Our next class was upstairs, Mrs. Hart's English class, and what a way to start another “glorious day” on the Lower Campus! 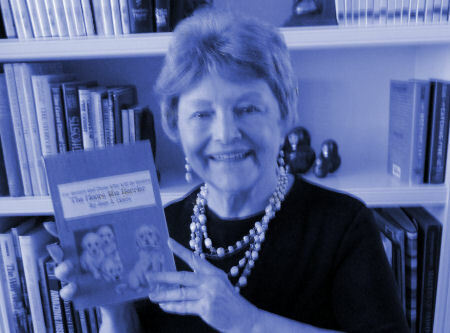 We didn't realize at the time what great teachers we had, but later on in California I attended an Education Week program, and discovered that Anna B. was one of the instructors. Her classes were so popular they were standing room only. Next we went upstairs to the third floor for Mr. Mercer and his Journalism classes. I took journalism my first year and worked on the Y'ld Cat student newspaper the next two years and I acquired altitude sickness. 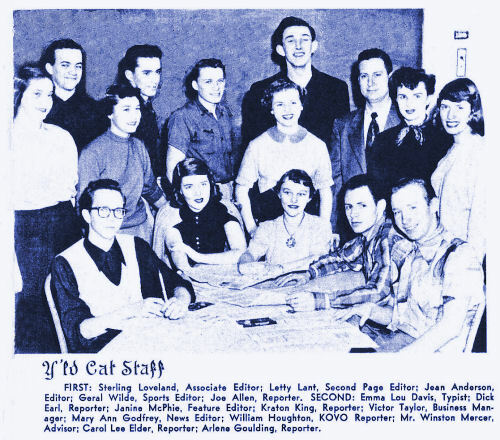 I then moved way downstairs again for Mr. Gunn's Art classes, and worked on the Wildcat yearbook with Ray Andrus as editor. Ray did some amazing photography that year. He did "PhotoShopping" before there was any such thing. After lunch I had Mr. Sorenson's Aviation class on the main floor. Jean Hughes and I were the only girls in the class, and we had joined in the hope of getting to ride in an airplane. That never did happen, but it did get us out of taking Advanced Algebra. By now my short legs were getting tired as downstairs I went to George Lewis' Speech and Drama classes in the basement. He had a great program going with his Children's Theater presentations. Without having to compete with the college plays, we did Little Red Riding Hood, Snow White, and other performances for the school kids around the Provo area. The performances were very successful and we filled College Hall auditorium, which happened to be located up more stairs and to the rear of the old Academy Building. Louise Blackham, Joan and I had Seminary class in 250-A in the Arts Building. Yes, this large room was more than our dance room, it often served as a classroom or meeting room. Our big dances like the Prom were held on Upper Campus at the Joseph Smith Building...but I digress. On this particular fine spring day, we were leaving Seminary in 250-A, and we could hear a commotion coming from downstairs, the ground floor of the Arts Building. When we started down the stairs we could see the familiar little Canadian Austin "Bullock-Mobile" parked in all of its glory inside the main hall of building, right between the rows of lockers! A large group of students and teachers had gathered around it, laughing and wondering aloud who had stolen it, secretly pushed it inside during second period, and then disappeared like ghosts. Was this the dastardly work of some of the same ne’er-do-wells who were also the mock bank robbers of our school? No one ever confessed to this, but with almost zero clearance and two sets of double-doors to come through, it was quite a feat. We don't know to this day. How did we poor girls get it the Austin back outside to its regular parking location on the street, you might ask? 1952 was my senior year at BY High. 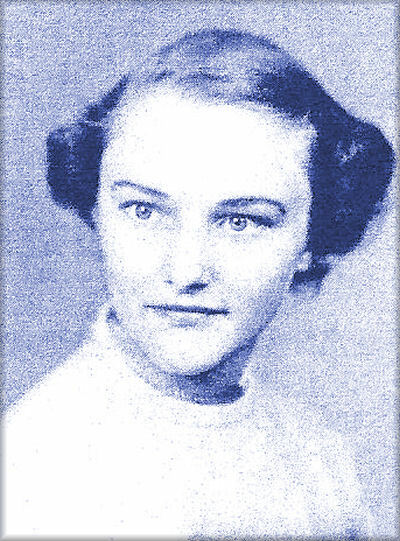 My parents moved to Nevada, and I shared an apartment with Joan Noel to finish high school. I returned to Provo in the fall and enrolled at BYU, graduating in 1954 with a major in elementary education and a minor in English. I married my high school sweetheart, Robert A. Moore (Provo High '50) and after he graduated we settled down in California to raise Karen, David and Pamela. When our youngest entered the first grade, I went back to school for a master's degree. Then we moved to Cedar City, Utah where I taught school for 25 years and Dr. Moore taught at Southern Utah University [SUU]. After our children made us empty nesters, Bob said I became a Renaissance Woman! As evidence, he said I was a professional model, a musician, an artist, and a writer. In all humility, however, I was a bag-lady model for an art class, I played ukulele in a band for the Coffee Festival in Hawaii, I painted Pooch Portraits of my friends' dogs, and I garnered a minor prize or two with my stories. One thing is sure, I manage to keep so busy I wonder how I ever had time to work! While we were in Hawaii on a Church Education System mission, I began to write humorous vignettes to our email contacts that created some laughs. Our friends and family encouraged me to compile them in a book. I started with our retirement in 1994 and have continued writing to the present. 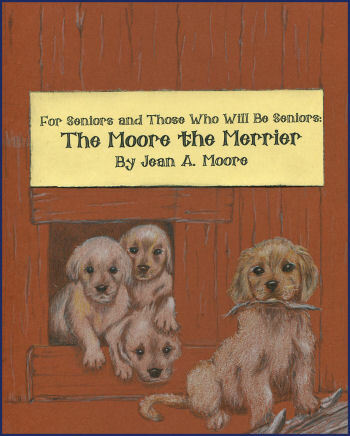 I have written some stories for people who happen to senior citizens, and for those who will become senior citizens, titled: "The Moore the Merrier." It is now available on Amazon.com. Because I'm pushing 77, I doubt there will be a sequel, but I have started on a prequel to the book, and God willing, I may get to finish it!